From Empty Nest to Full House… Multigenerational Families Are Back! Multigenerational homes are coming back in a big way! In the 1950s, about 21%, or 32.2 million Americans shared a roof with their grown children or parents. According to a recent Pew Research Center report, the number of multigenerational homes dropped to as low as 12% in 1980 but has shot back up to 19%, roughly 60.6 million people, as recently as 2014. 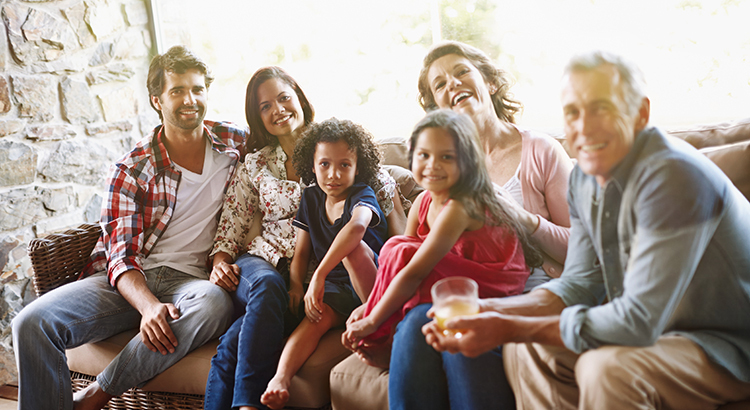 Multigenerational households typically occur when adult children (over the age of 25) either choose to, or need to, remain living in their parent’s home, and then have children of their own. These households also occur when grandparents join their adult children and grandchildren in their home. This shift can be attributed to several social changes over the decades. Growing racial and ethnic diversity in the U.S. population helps explain some of the rise in multigenerational living. The Asian and Hispanic populations are more likely to live in multigenerational family households and these two groups are growing rapidly. Additionally, women are a bit more likely to live in multigenerational conditions than are their male counterparts (20% vs. 18%, respectively). Last but not least, basic economics. Carmen Multhauf, co-author of the book “Generational Housing: Myth or Mastery for Real Estate,” brings to light the fact that rents and home prices have been skyrocketing in recent years. She says that, “The younger generations have not been able to save,” and often struggle to get good-paying jobs. Multigenerational households are making a comeback. While it is a shift from the more common nuclear home, these households might be the answer that many families are looking for as home prices continue to rise in response to a lack of housing inventory.